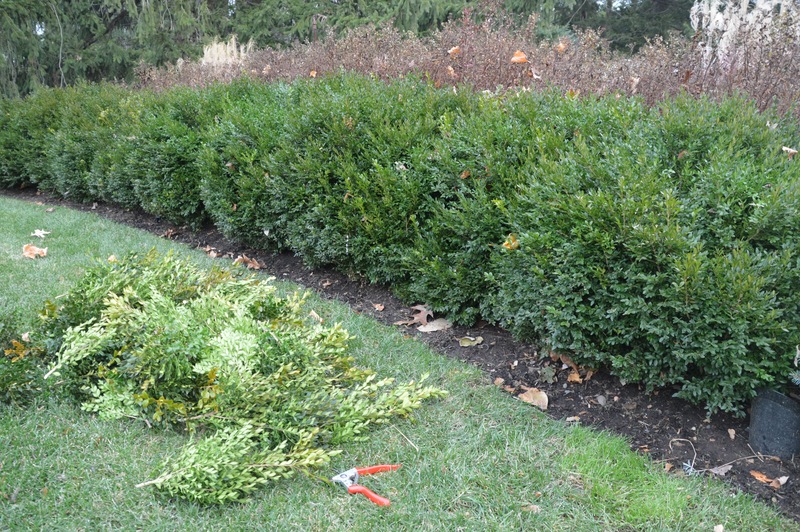 Boxwoods often get a bad rap for being fussy and highbrow – shrubs more befitting Versailles than a New Jersey backyard. Not so, I say! We have at least 5 different varieties of boxwood in our yard (there are about 70 in the Buxus family), and they’re much more Sallie Sue than Marie Antoinette. 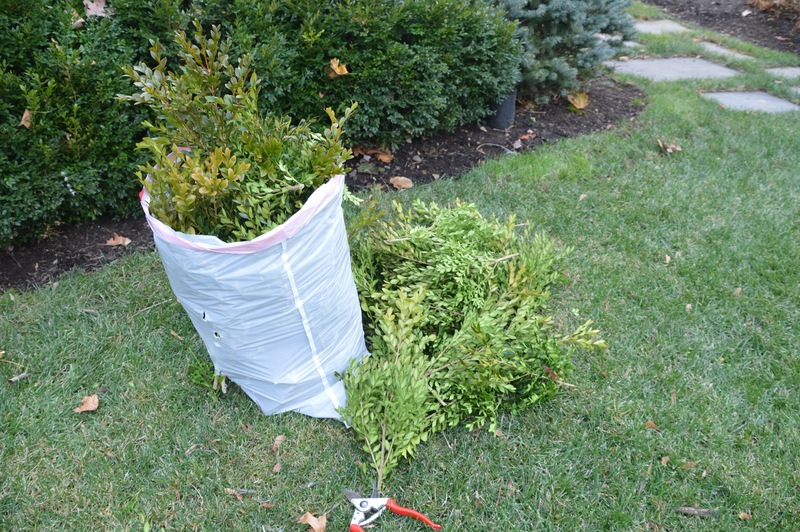 These well-mannered evergreen shrubs provide year-round structure in a landscape, and don’t demand much in return. As an added bonus, if you open-prune them in early December, they’ll reward you with free holiday greenery and healthy new growth come spring. 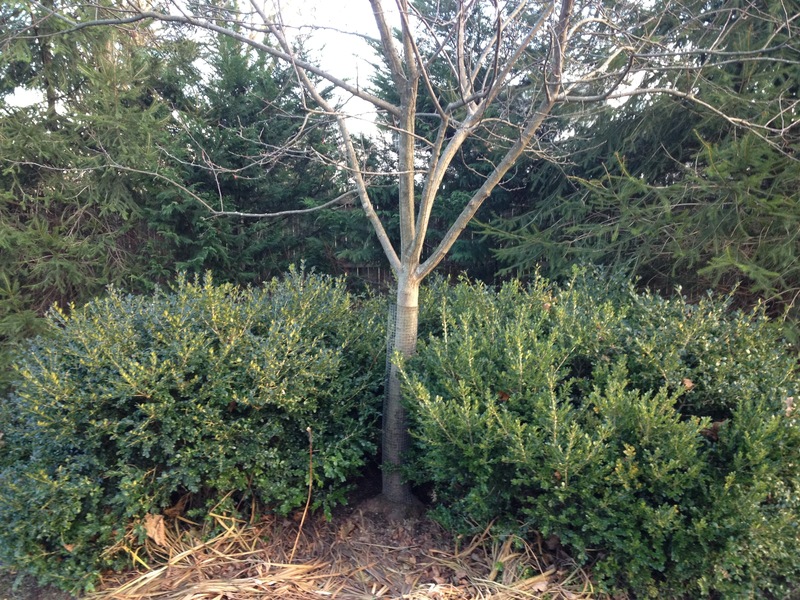 A half-circle of ‘Green Velvet’ boxwood (in need of pruning!) surrounds a ‘Prairie Fire’ crab apple tree. 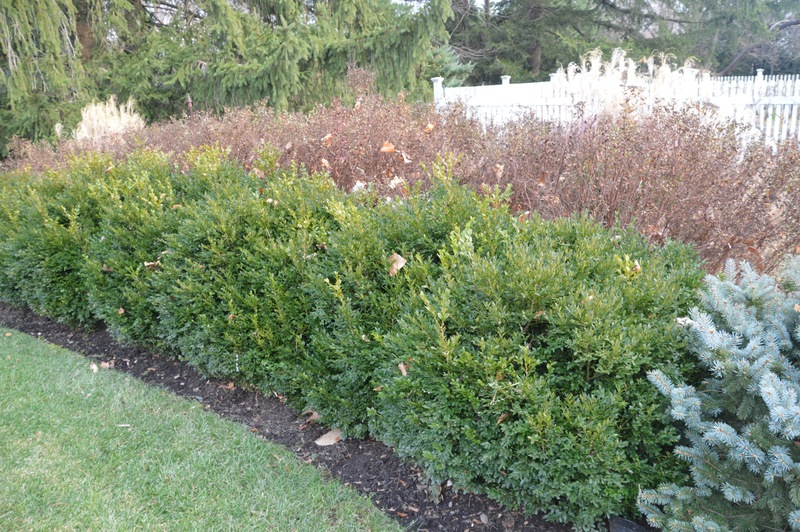 Boxwoods before open-pruning . . .
Can’t really tell, can you? So what to do with all the cuttings? Get crafty! They’ll stay green and fresh for a month or more outdoors, even without water. I’ll stash most of the cuttings outside my backdoor, and then bring them in for various projects throughout the month. For use inside I’ll arrange the branches in water or wet foam, but the cuttings will stay green even if left to dry. Outside I use the cuttings to create instant faux-piaries. 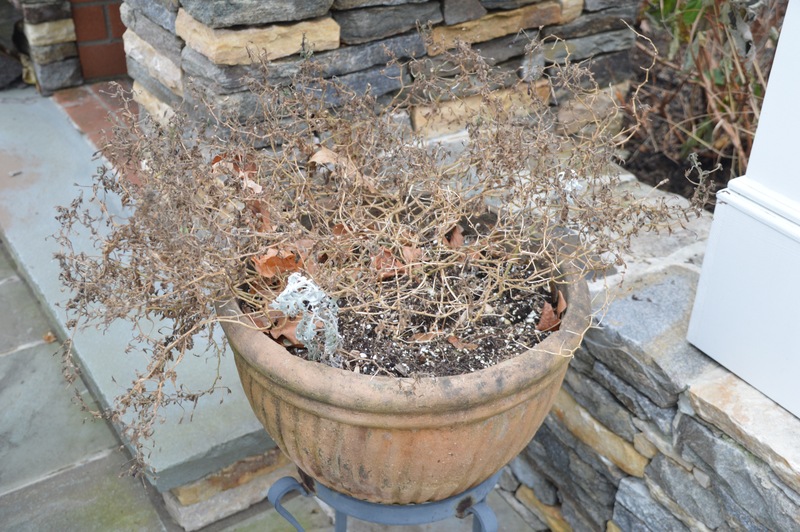 For example, here’s a pot of dead annuals. Not very attractive. 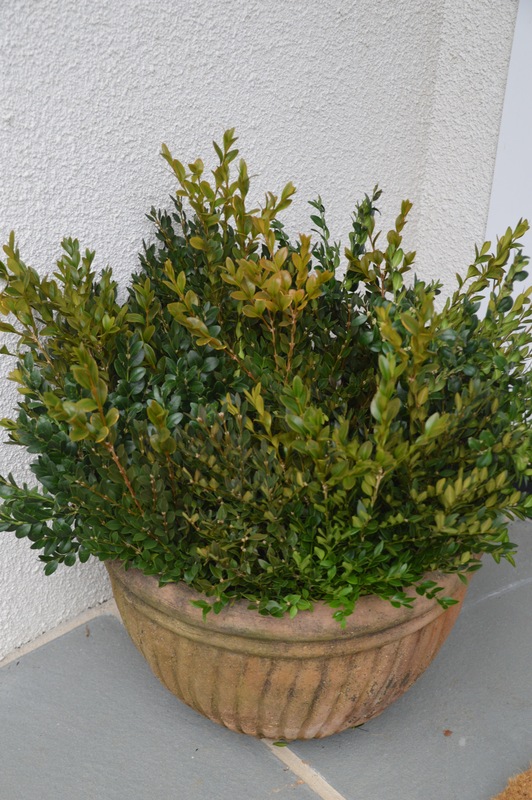 Cut off the dead foliage, and (assuming the soil hasn’t frozen solid yet) insert the longest and sturdiest boxwood cuttings until the pot is full. Magnifique! Because this pot should not stay outdoors all winter, I move it to a more protected location for the month of December. Next up: maybe a boxwood wreath. 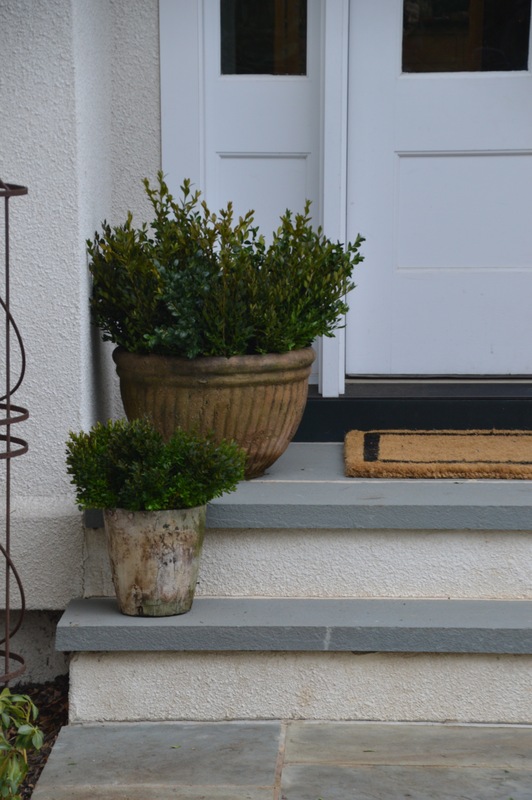 What will you do with your boxwood cuttings? 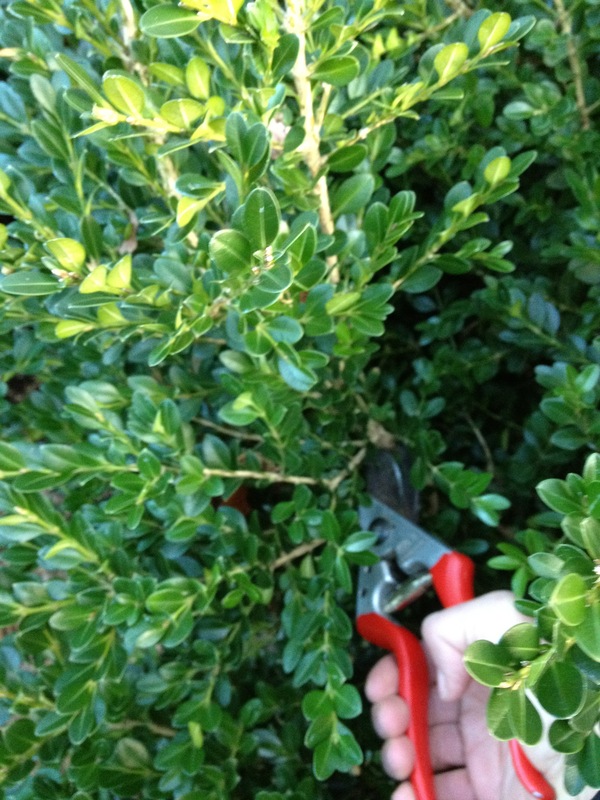 This entry was posted in Gardening, Holidays, Uncategorized and tagged boxwoods, evergreen shrubs, gardening, Holiday decor, landscaping, pruning by subeeskitchen. Bookmark the permalink. fauxpiaries – I like that – simple. If you make a wreath do your magic and show us! Thanks for the pruning tips! I love my boxwoods because the deer don’t eat them. 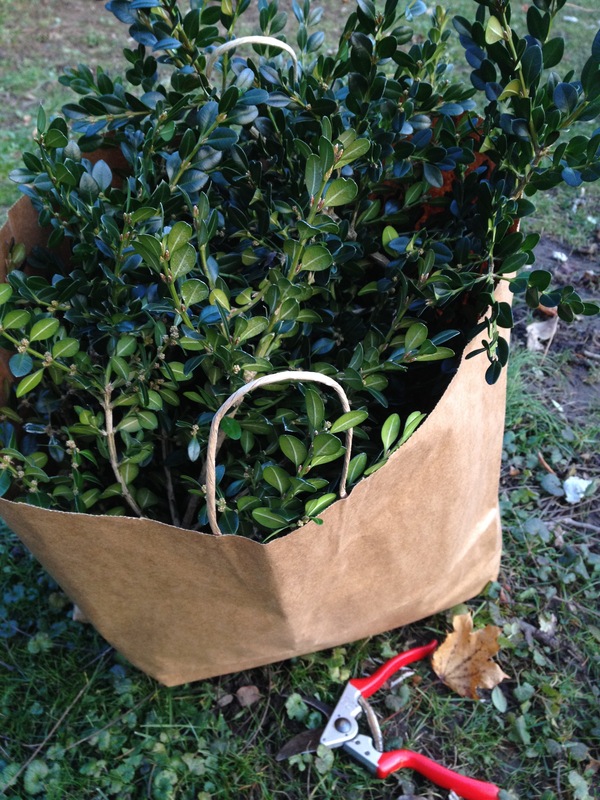 I’ll be pruning boxwood later today! Tristan is home sick today, so guess what I did? 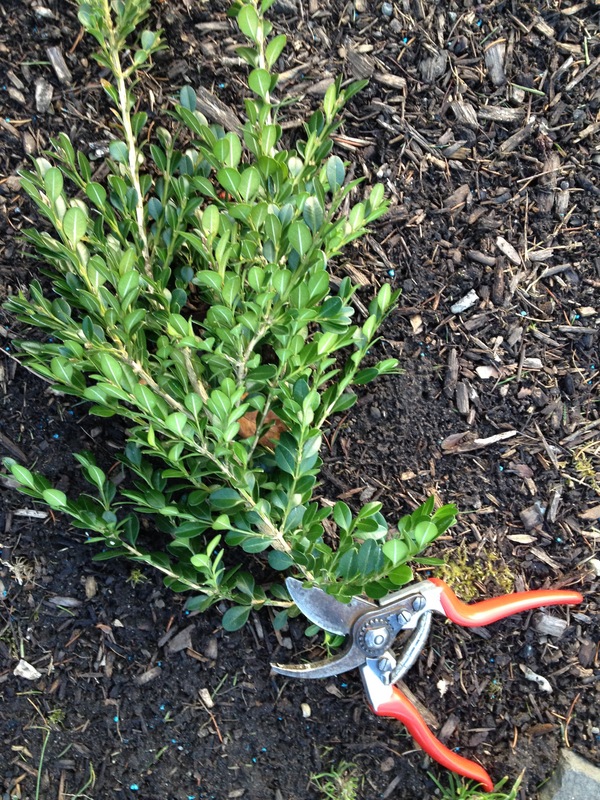 Pruned boxwoods, thanks to the advice on your blog!